The temperatures have consistently hit the 80s over the past week or so. 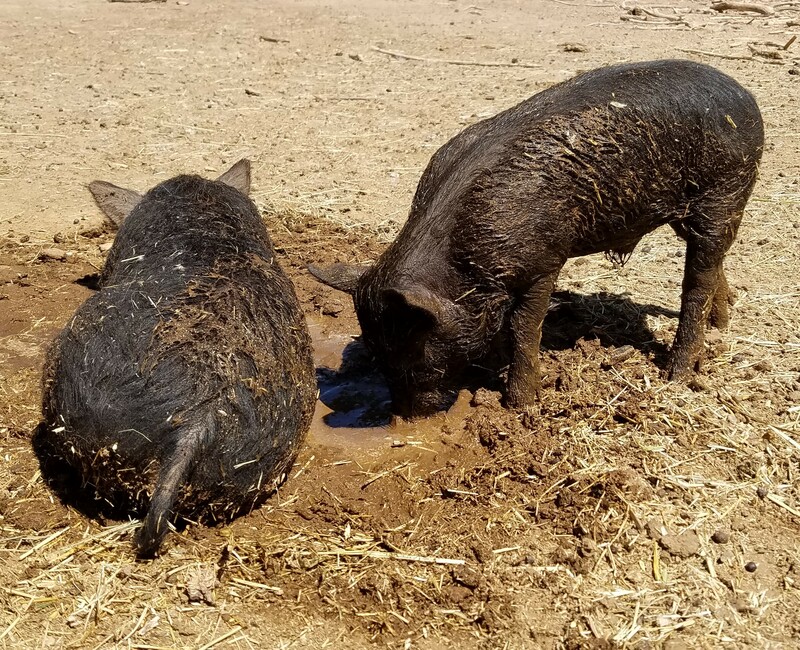 As hogs don’t sweat, they have to be provided with shade and a way to cool off – most commonly by coating themselves with mud. 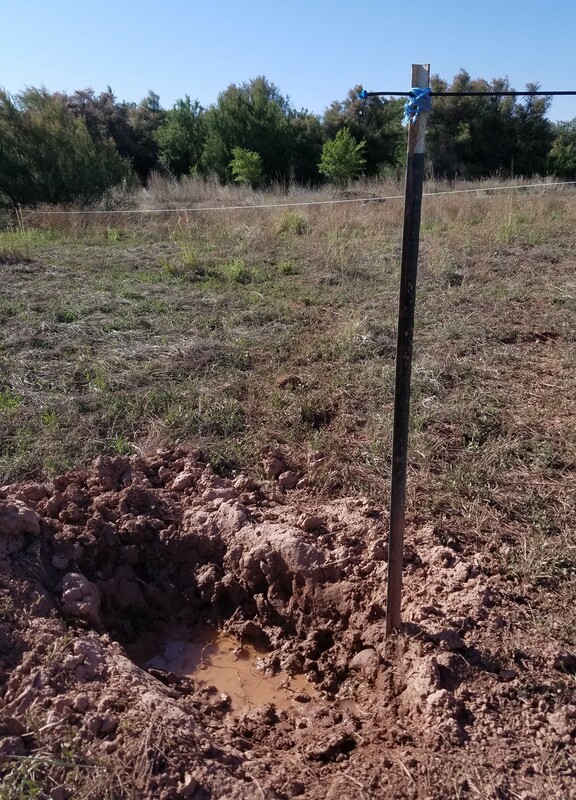 Setting up a wallow for the pastured hogs was simple enough. I spliced into the irrigation tubing that delivers a constant supply of water to the hog waterer and ran another piece of tubing off to the side where I installed a spot water emitter. All I had on hand was a 2 GPH (gallon per hour) emitter so I set that up and ordered a packet of 0.5 GPH emitters. That meant that I had to remember to turn off the water after a couple of hours or else flood out the wallow and the adjoining pen. If Bok Choy continues to improve, I’ll keep to my plans of relocating Hoggle and Bok Choy out to the pasture at the end of June. 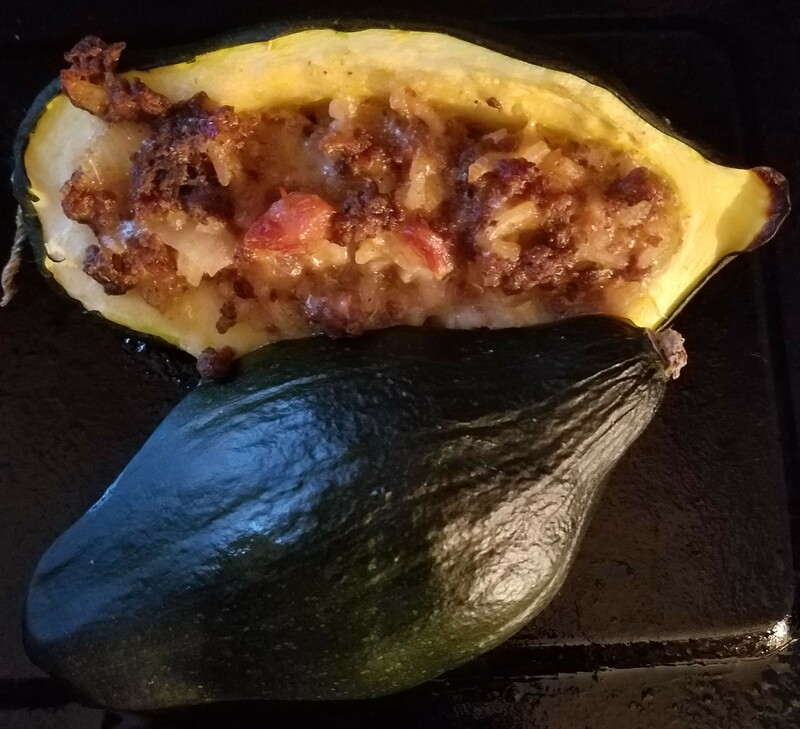 After much angst, one of my acorn squashes finally matured. It certainly didn’t look like what you can buy in the store . . . It sat on my counter for a few days until I finally remembered to pull a package of frozen ground lamb from the freezer out in the pump house. 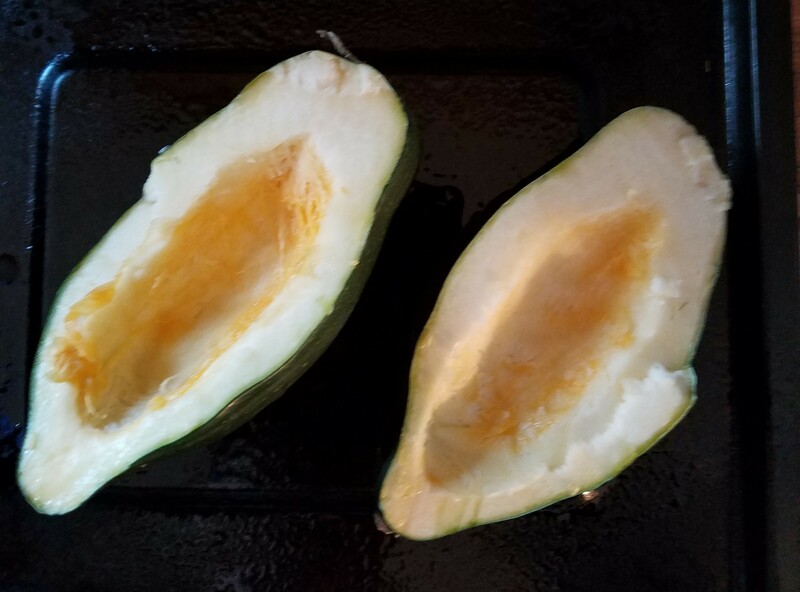 Last night I opened the squash up and scooped out the seeds. I was hard at work this morning when I heard some cheeping. Since the two chicks in the brooder with the hen are too far from the house to be heard, I figured I was hearing things and ignored it. 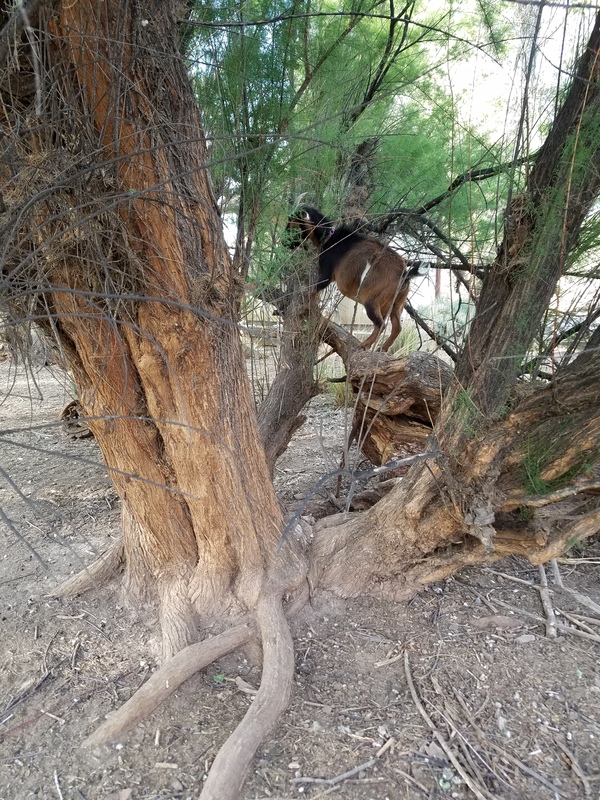 However, when I heard cheeping again a couple of hours later I went out to investigate. 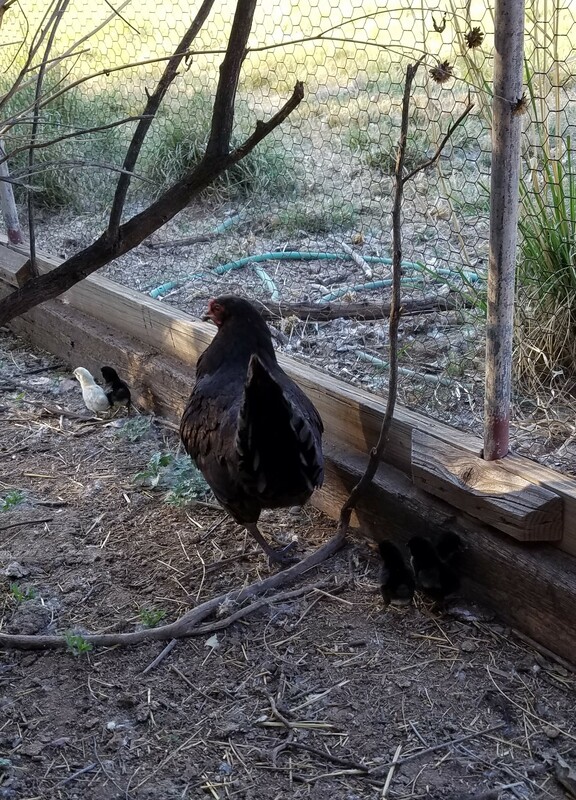 I found a hen with five chicks in the area between the drive and the pump house. After a couple of abortive attempts to catch the chicks I went back to work. 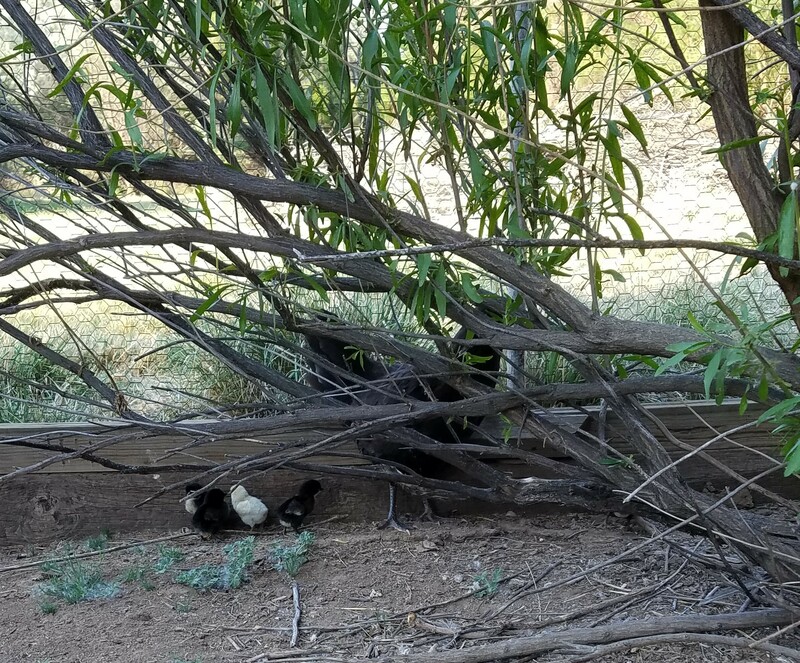 Tonight when I went out to feed I found the hen on the outside of the run attached to the chicken coop with all five chicks under her. I had opened the brooder into the run this morning so the other hen and her two chicks were in the run. Therefore, my goal was to get the second hen and five chicks into the brooder. 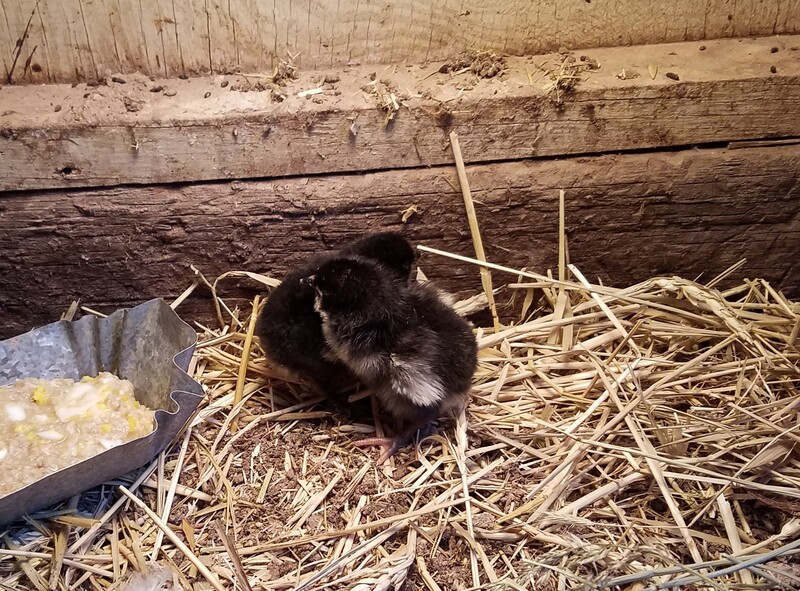 However things didn’t go quite as planned and I ended up with four chicks in the brooder and the hen and one chick into the run. 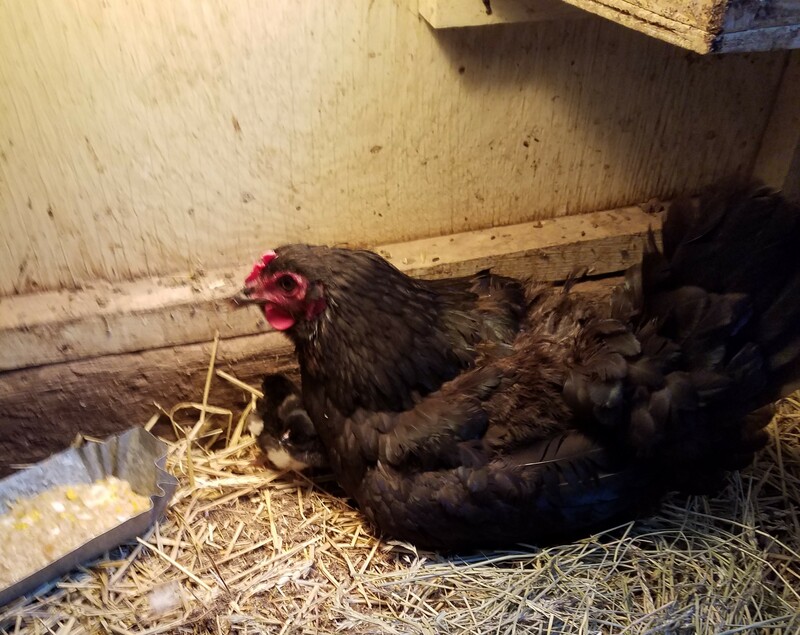 While trying to get her and the chick into the brooder, the other hen and her two chicks went back into the brooder and all six chicks ended up with the hen. Some fancy shuffling managed to separate the hen from all the chicks and I was able to finally catch the four chicks and put them out in the run with the hen. Four black chicks and one yellow chick. Rain (or snow) is the most beautiful sight when you live in a desert. The second most beautiful sight is a barn full of hay. 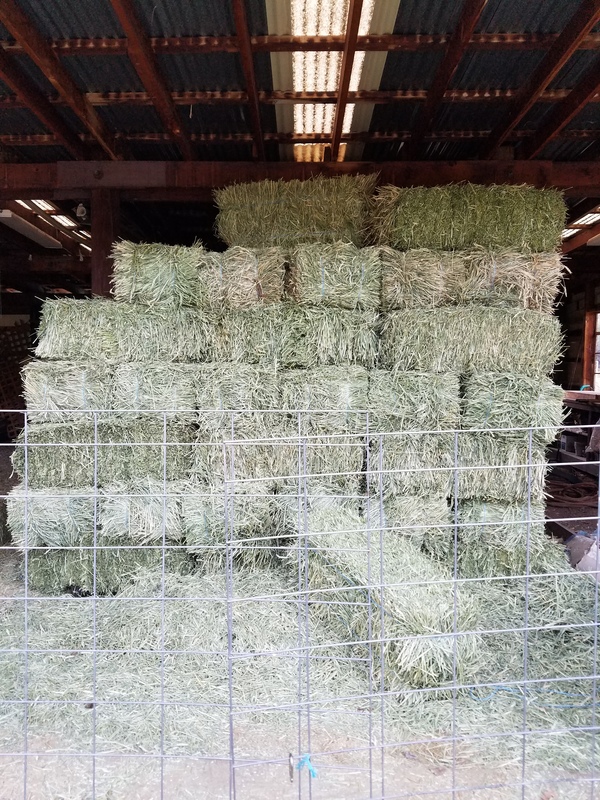 I had one third of my hay delivered tonight – 210 bales of wheat hay. My barn has four sections. On one side I have several dog kennels up and on the other side is a long bench with storage. 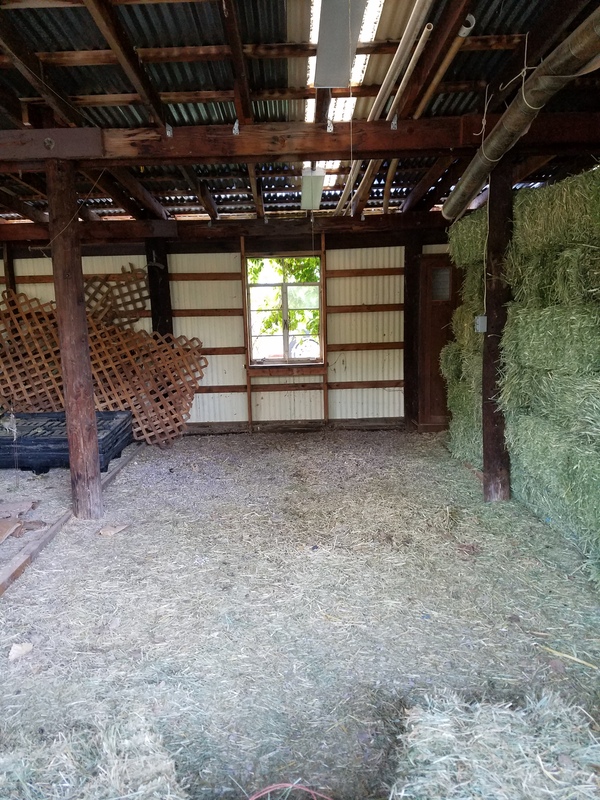 That leaves the two middle sections to store hay. 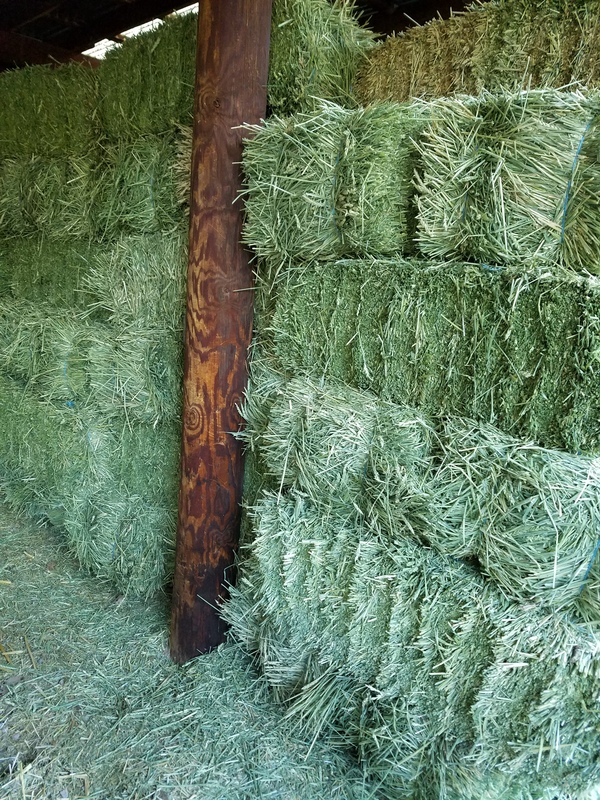 The other 400 bales of hay – alfalfa – is supposed to be delivered next week. I’m not sure I can fit 400 more bales into the remaining section of the barn. Thyme kidded out about three weeks ago. 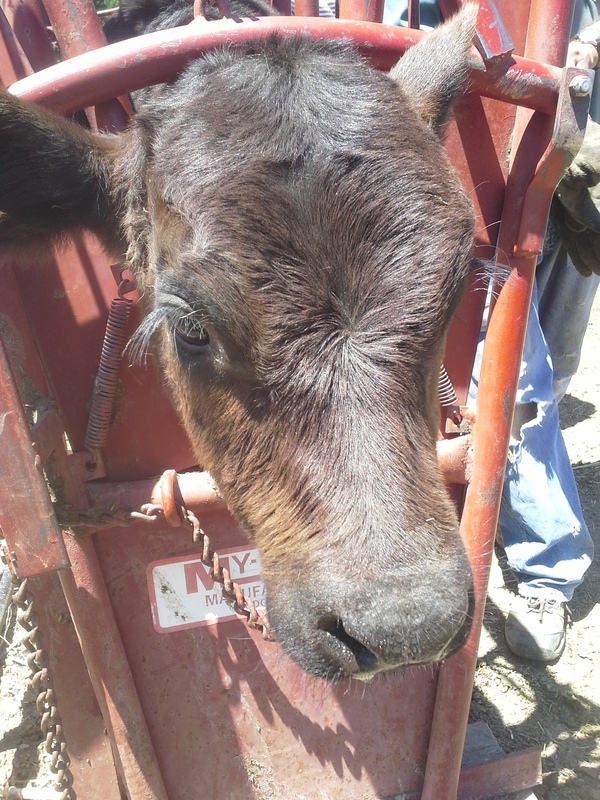 She was (unintentionally) bred way too young and is very small. She is a first freshener and only has one kid. First fresheners don’t have the udder development that they will (hopefully) develop with subsequent kiddings and does produce milk to meet the needs of their kids, so does with singles generally produce less milk than does with multiple kids. 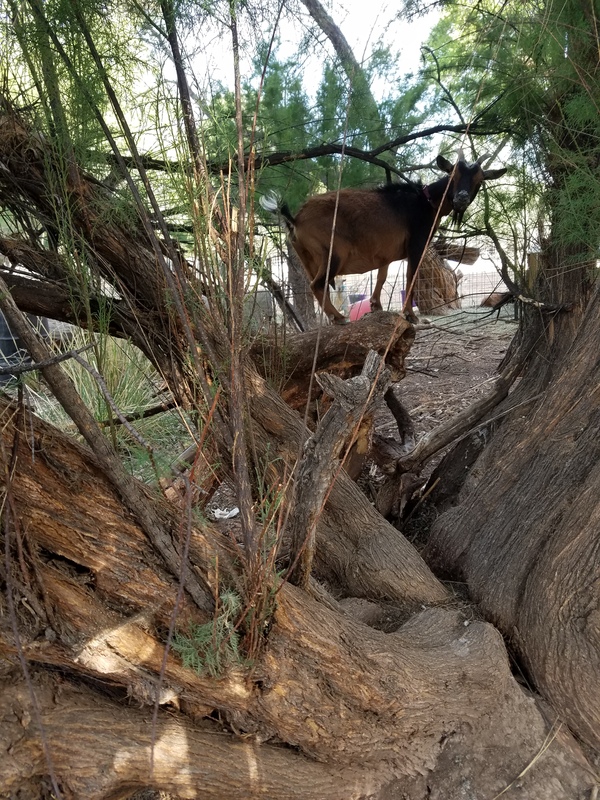 Therefore, when I decided it was time to start milking Thyme and Spice and separated them from their kids last night, I wasn’t expecting much from Thyme on the milk stand this morning. 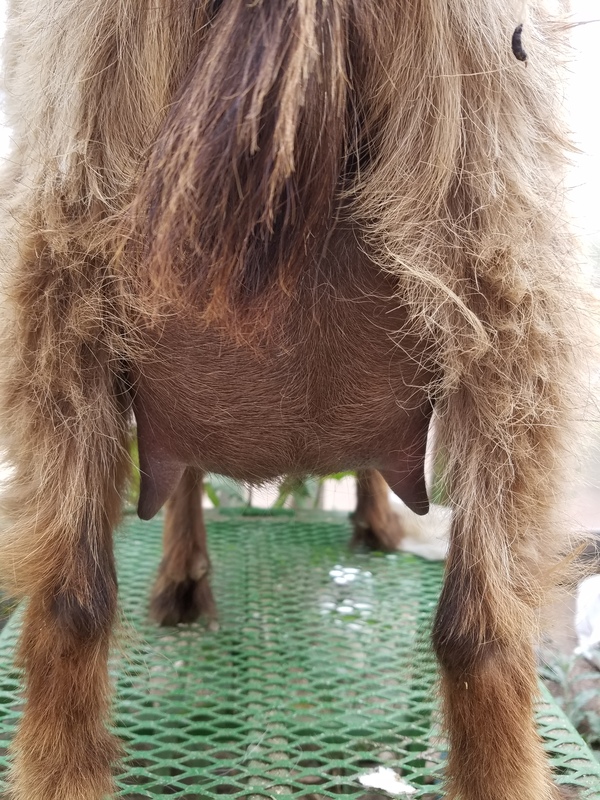 Here is Thyme’s udder approximately 12 hours without nursing. Not fantastic but she gave me 14 oz of milk (a quart is 2 lbs or 32 oz) which isn’t bad given everything. I also didn’t completely milk her out as she has very small teats and was NOT good about standing quietly. Peak production is 8 weeks after freshening (kidding) so what she produces then will give me an idea of the milker she is likely to be in subsequent kiddings. Spice kidded about two weeks ago and has twins. She is a first freshener but older and larger than Thyme. 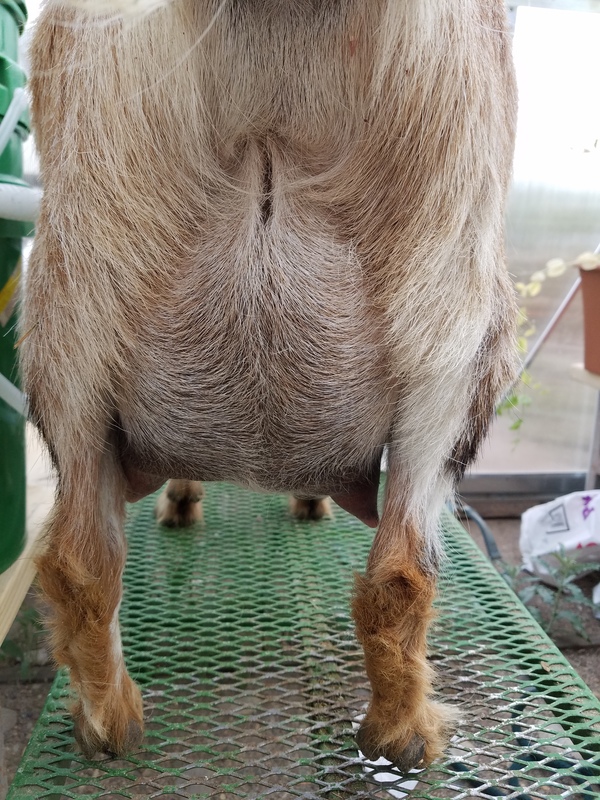 Here is her udder. 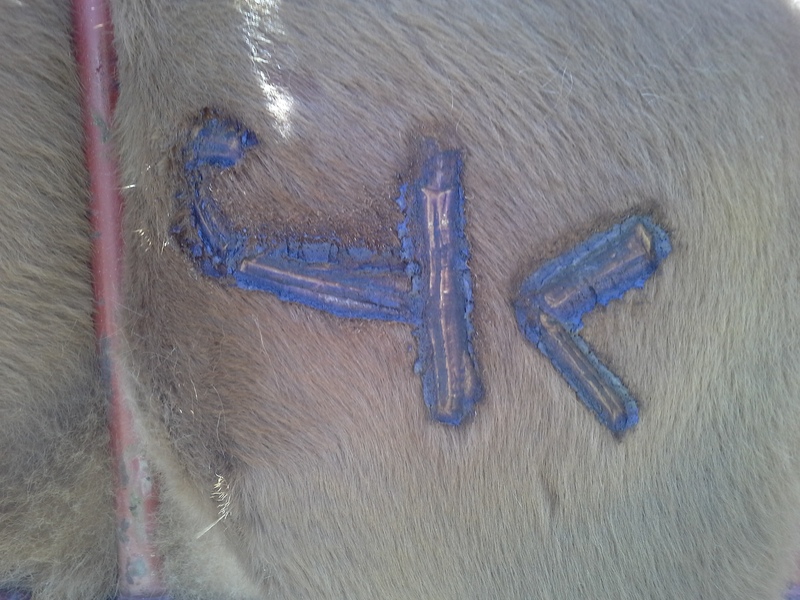 She gave me 20 oz (her twin Nutmeg gave me 22 oz on her first milking). Her teats are smaller than Nutmeg’s and she isn’t as easy to milk, but she was quiet on the milk stand. I’m anxious to see what she produces at 8 weeks as she looks almost identical to her mom, Joey, who was an exceptional milker. 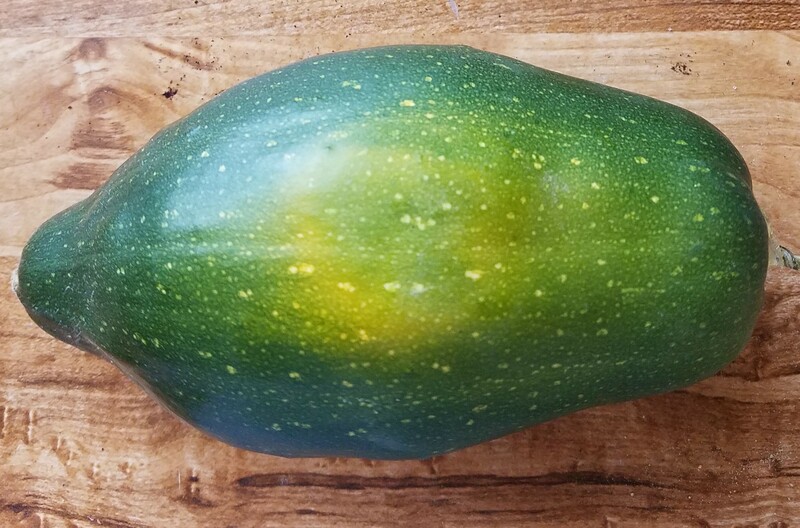 Addendum: to see what Nutmeg’s udder looked like on her first freshening: Got Milk? Did you ever wish you were taller? After milking I usually turn Nutmeg loose for awhile. Sometimes she heads straight back to her pen, and sometimes. . .